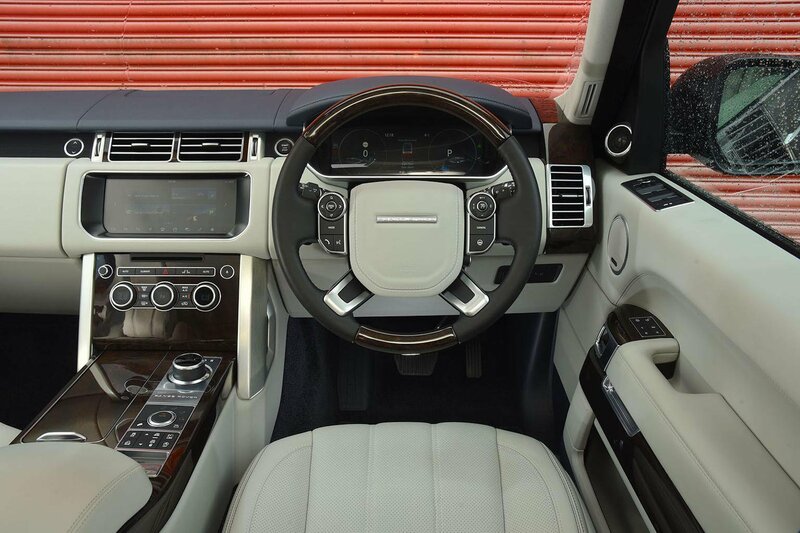 Range Rover Interior, Sat Nav, Dashboard | What Car? 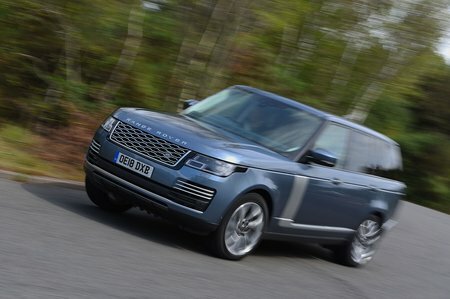 Range Rovers are known to be comfortable long-distance cruisers, and it’s easy to get comfortable behind the wheel. The steering wheel adjusts up and down as well as in and out, and every model has front seats with 20-way adjustment including four-way variable lumbar support, along with a memory for the driver’s seat position. It’s a bit of a climb up into a Range Rover but, once you’re there, its height gives you a commanding view of the road ahead. What’s more surprising is how quickly you become aware of the car’s extremities; even in something measuring five metres long, you’re able to place the Range Rover accurately down narrow lanes and during tight parking manoeuvres. To further assist with this, a rear-view camera is standard on every model, as are front and rear parking sensors, while the options list includes a 360deg camera system and even automatic parking. You can also add more powerful ‘pixel’ LED headlights. 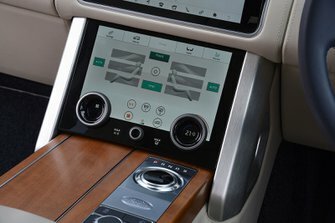 All Range Rovers have a pair of 10.0in touchscreens: one where you’d expect it to be, towards the top of the dashboard, and the other below it, just in front of the gear selector. This lower screen is used to access the air conditioning and off-road modes, but you can also use it to operate the multimedia system while the main screen displays navigation info. This setup gives the interior a minimalist, high-tech look that’s certainly appealing, plus the graphics are sharp and there’s only the occasional lag when you select something. But, while its menus prove easy enough to navigate when you’re stationary, the lower screen can be distracting to use on the move. Entry-level Vogue spec includes a DAB radio, Bluetooth connectivity and a digital TV receiver. The Vogue SE has a more powerful 825W surround-sound system (the standard car gets a more humble 380W set-up), while the SVAutobiography model features a 1700W Meridian audio system. Strangely, Android Auto and Apple CarPlay smartphone mirroring are only offered in a ‘smartphone pack’, which can be added at no extra cost. The Range Rover may be an all-conquering SUV with a taste for the wild outdoors, but you shouldn’t expect its interior to appear even slightly utilitarian. In fact, car interiors don’t get much more luxurious than this; the craftsmanship is of an extremely high standard and everything you see and touch is made from top-drawer materials. Even the entry-level Vogue gets leather upholstery as standard, while the Vogue SE and Autobiography offer an even higher-quality, semi-aniline leather finish.